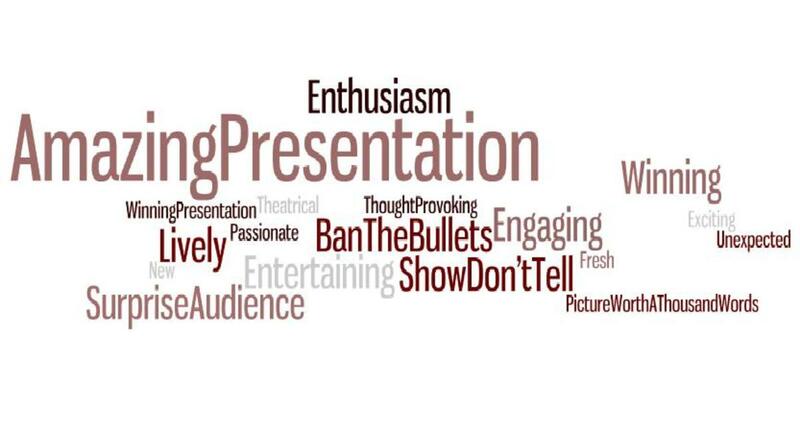 Five tips to prepare for speaking to a public audience. Public speaking is a fear that many people have. There will most likely be a time in our lives where we have to speak in front of a crowd. Whether it's for a speech class in high school, a public speaking course in college, or a presentation at a job, we will likely have to publicly speak to a group of people at some point. 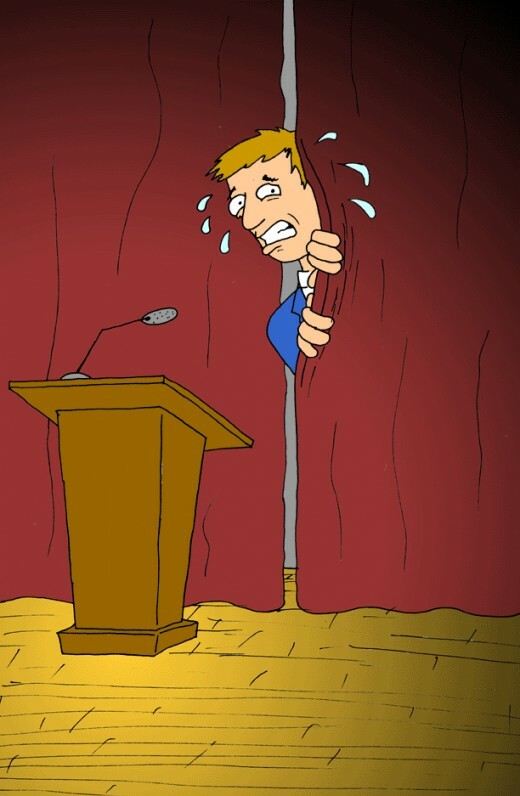 Public speaking often brings a great deal of anxiety and nervousness. For most of us being in front of a group of people makes our palms sweat. The anxiety often causes our hearts to beat faster, which sometimes causes us to sweat and panic. There is no real cure for the stress that comes along with public speaking. It's one of those things you just have to do in order to become better at it. Here are five tips to better help you prepare for speaking in public. I'm not an expert at all. I'm just using tips that helped me during times where I had to speak to a group of people. Pick a subject that you are familiar with. This may sound like an obvious tip, but many people fall into choosing a subject they feel will be more interesting to others. If you are having to speak in front of a class in high school or college, you will most likely be able to choose the subject you will be discussing. Being familiar with the subject you will be speaking about can lessen the stress and pressure to an already tense situation. Also, if you are familiar with your chosen topic, you are likely to look more comfortable to your audience. Remember that your audience's attention is important, therefore it's important to be familiar with what you will be addressing to them. Even if you feel your subject isn't interesting enough, you can find ways to keep them involved with your knowledge. Practice your speech in front of family and friends. This is an important tip to remember. I recall having to give a 10 minute speech back when I was taking a Business Report Writing and Correspondence course in college. The night before the day of the speech, I gave a presentation of my speech in front of some of my family members. This gave me added confidence going into the speech. It also was a test of how well informed I was of the subject I was discussing. Giving the presentation of front of people I'm close with definitely helped me for the big day. If you are unable to practice in front of friends or family, do it in front of a mirror. Pay attention to your body language and facial expressions. This is likely how you will be looking in front of your real audience. This is also an important tip, because you want to keep your audience's attention. 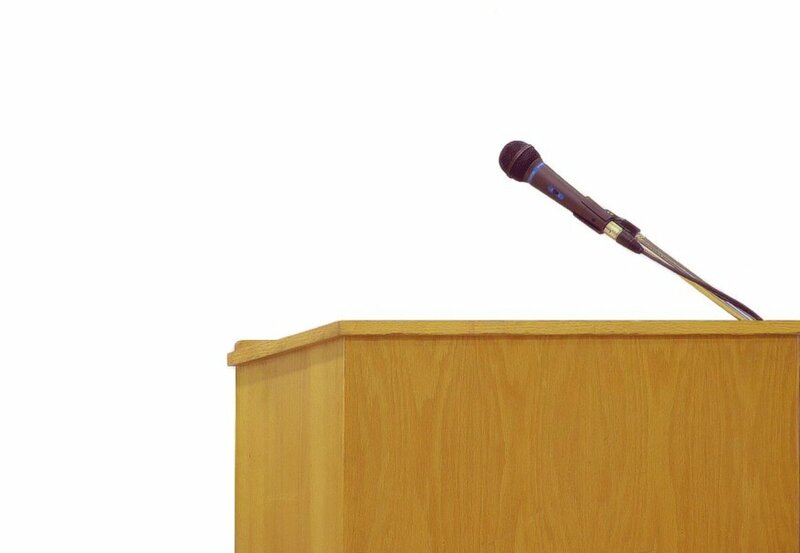 If possible ask questions during the course of your presentation. Some people use slide shows during speeches, and this is another great way to engage the audience. Also, if the the presentation calls for it, make sure to ask the audience if they have any questions after your presentation. Make sure to make eye contact with different people you are speaking to. If the subject calls for using an audience member as an example, feel free to do that also if possible. Finding ways to engage your audience and getting them involved can be another way to help you relax. Walk around and use hand gestures if possible. Your body language says a lot about you when giving a speech. If it's possible, don't stand still during your presentation. Walk around and use your hands when explaining your points. I learned this from one of my teachers in high school, and I applied this when I was in college. One of my college instructors praised me one time for using my hands while explaining a point. 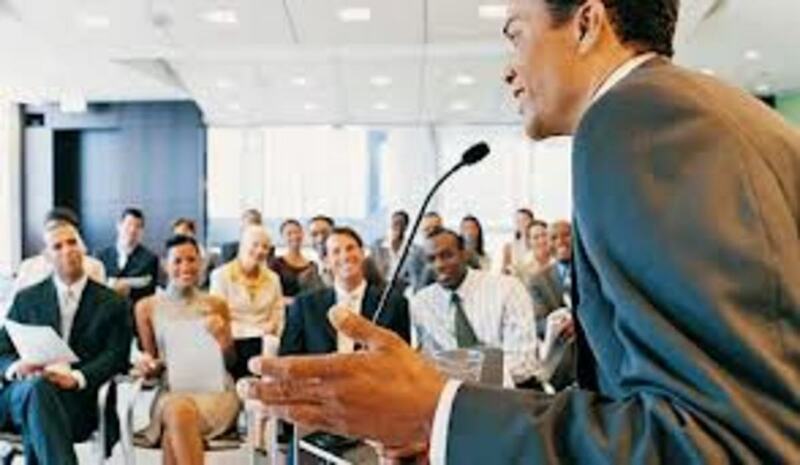 If you are moving around while giving a speech it makes you appear to be more relaxed. It also makes you look like you know your subject well. You won't be constantly reading the notes you took or the flash cards you made, so you will appear to be well informed and prepared. Try to relax and enjoy the attention you are receiving. It's in our human nature to want and long for attention. We may not like the option of talking in front of a crowd to receive attention, but it's one of the times in your life when all eyes are on you. Try to enjoy the fact that you are in total control of what you say. Try to use this time to make an impression on those who are watching and listening to you. Most of the times when I gave speeches, it was my peers who were watching me. Our peers are sometimes the hardest to impress, so that is what I used to have in the back of my head. Try to relax and have fun with your presentation. Remember that if you are having fun while giving your speech, it will seem to go by faster. Being successful at public speaking can be a daunting challenge, but it's not impossible to overcome. It's one of those things that most of us get better at with time and experience. 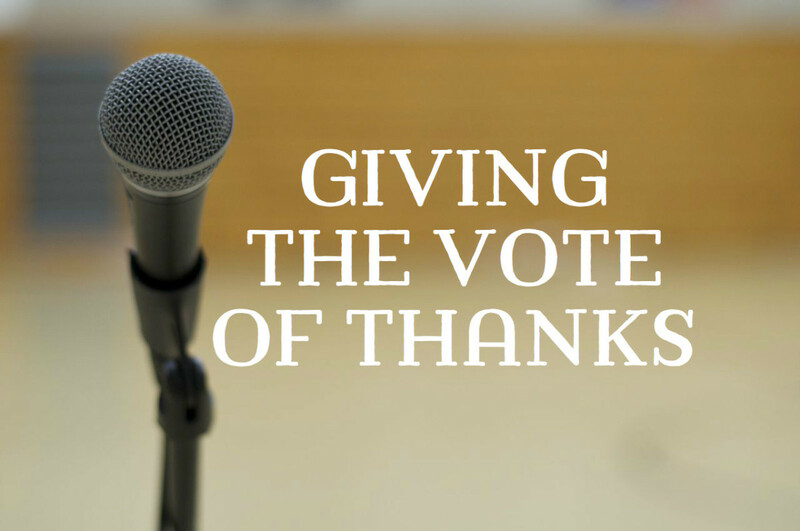 The tips that I offered above are what helped me during times where I had to give speeches. I just wanted to share them, and hopefully someone can learn from them. Thanks for reading. Fight your fear of public speaking! 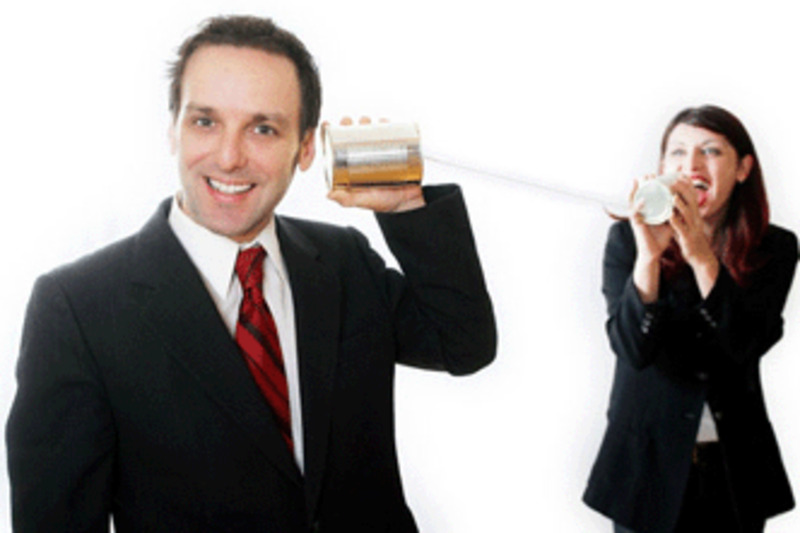 What is an Inadequate Communication? And How to Prevent Information Loss in Communication? Yes it's definitely a scary experience the first time we do it, but it's something that we can get better at for sure. Thanks for the kind words and taking out the time to read. I appreciate it very much. I had to leave in the middle of my first speech as I had a panic attack. I used many of tips you mentioned. 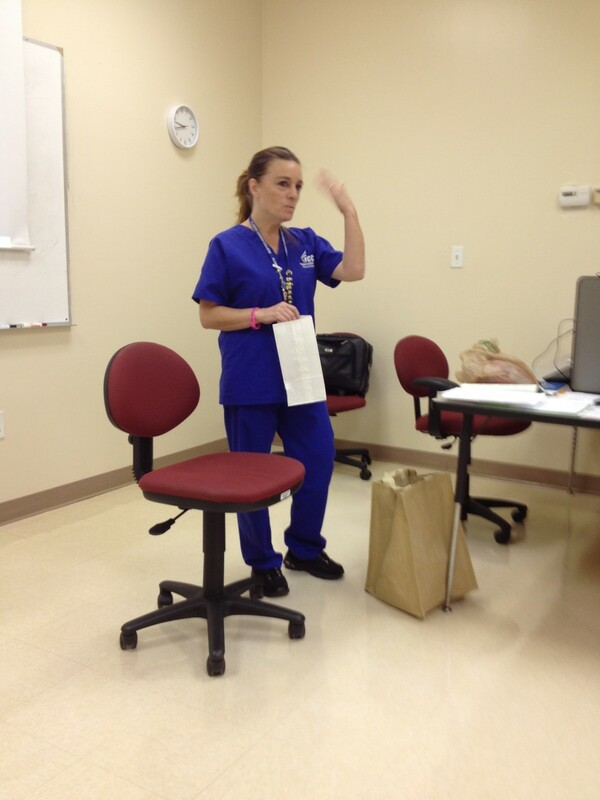 By the end of the class I was at ease with public speaking. Your advice does help. Good hub. Thank you very much Oindrila! Thank you very much for your feedback and input. I understand exactly what you mean. I like your hub!! I do have to say though, sometimes slide shows become a crutch! If you do not do them properly, you will find yourself getting nervous and reading directly from the slides (I have definitely made this mistake before). If you use a PP slide, it is best to limit the content to bullet points- you know your stuff and too much on the screen can be limiting. One of the most useful articles I have read of recent times.Wonderful presentation!